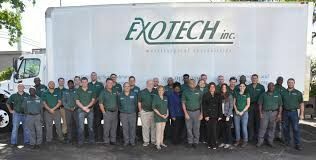 Exotech - We are a metal recycling company that deals with rare metals like chromium, tantalum, niobium, and tungsten. We are also buy and sell these rare metals. Feel free to visit our website for more info. We are a metal recycling company that deals with rare metals like chromium, tantalum, niobium, and tungsten. We are also buy and sell these rare metals. Feel free to visit our website for more info. As a full-service, all-in-one recycling company with operations throughout Florida, GLE currently recycles over 250 million pounds of scrap metal each year. R&B Metal Fabrication, LLC is located in Melbourne, FL. We provide window treatments, auto railing services and more! Feel free to contact us and learn more! Since 1977, Universal Rivet has been manufacturing rivets and cold headed parts including oval, steel, brass, solid, shoulder, semi-tubular & aluminum rivets in Florida.